Lithium batteries can lie idle for five to 10 years and still retain 90% of battery capacity. 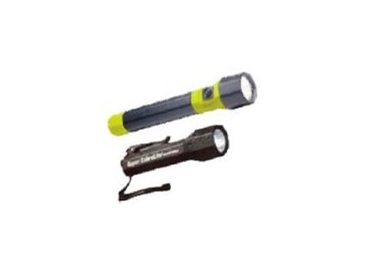 MONTVILLE Creative Products has released 11 lithium-battery-powered torches for first aid kits and emergency maintenance kits, where they may sit unused for extended periods. Users need to be confident that torches in these kits will operate reliably after long periods of inactivity. Lithium batteries can lie idle for five to 10 years and still retain 90% of battery capacity. They will also deliver far better cold weather performance and have a longer operating life. LED lamps with a life expectancy of 100,000 hours go further to ensure reliability. There are also Xenon versions, some of which have adjustable spot-to-flood focus. They also include a spare bulb within the torch.